The EU needs around eight million puppies annually to meet consumer demand – far beyond legitimate breeders’ capacity. As a result, the illegal online puppy trade is booming, and state-of-the-art trafficking networks benefit from a market approximately worth over €1 billion per year, writes Georgia Diamantopoulou. Georgia Diamantopoulou is companion animal policy coordinator at the VIER PFOTEN/FOUR PAWS European policy office. Investigations have shown the grim reality of the illegal puppy trade. All signs of a potential health hazard are present. Puppies are bred at the lowest possible cost, mainly in Central and Eastern Europe. Too young to be effectively vaccinated against rabies (vaccination is regularly injected as of 3 months old and takes another 3 weeks to be activated) they are transported with falsified health and identification documents. Unvaccinated animals from non-rabies free countries are a real health bomb for the re-emergence of the disease. In recent years countries like the Netherlands and France have witnessed such cases tracing back to puppies from non-rabies free Eastern countries. Puppies are then sold at competitive prices and the buyer is often left with a sick or dying animal and high veterinary bills, the emotional toll aside. Unregulated trade and consumers’ price sensitivity leads to dumping and market distortion as the profit margin for illegal traders can reach up to 73%. Needless to speak of the scale of tax evasion and the risk of unreported profits funding other criminal activities. Tracking back the breeder is usually impossible. Online classified ads provide the perfect platform for illegal trade, as they ensure anonymity and direct access. Asking little or no questions, most sites assign users with the responsibility to identify fraud. The reluctance of many platforms, several of which owned by eBay Inc., to consider simple consumer protection measures, such as mandatory seller verification (e.g. via a paywall) and discourage casual advertising has turned them into havens for the illegal trade and hubs for tax evasion, consumer deception and unfair competition. Having already established a link between public health, animal health and animal welfare, the Regulation on Transmissible Animal Diseases – Animal Health Law (AHL) will come into force on April 2021, for better prevention, detection and control thereof. The rich spectrum of diseases shared with humans is the base for the EU to regulate the breeding, handling and selling of cats and dogs. This brings a unique opportunity to tackle the illegal pet trade, provided that the legislation adding to the AHL addresses two key points: the mandatory registration of all breeders and sellers, and the harmonization of Identification and Registration (I&R) systems across the EU – both crucial according to experts. Currently, only specific groups of operators are required to register. However, the preamble of the AHL sets it straight: the breeding and selling of dogs is a risk posing activity. Under the AHL these are subject to the registration obligation. The Commission is expected to issue a Delegated Act on registration of breeders and sellers, storage of activity information in a national registry and keeping of an internal record with identification information on litters and individual animals. It is now crucial that the Act calls for all operators’ registration, and that derogations for the unregistered small, hobbyist or private breeders – whose activity may be prone to risk – are applied in the strictest way. This would build on an established precedent. In France, for example, it is mandatory for anyone intending to sell an animal to register and hold a visible tax number. A registered breeder is traceable, and so is the animal’s health history, as the activity is bound to the registration number and the internal record is made available to the authorities. This would ensure fair competition and guarantee that one can be held accountable. This leads to the next critical point. 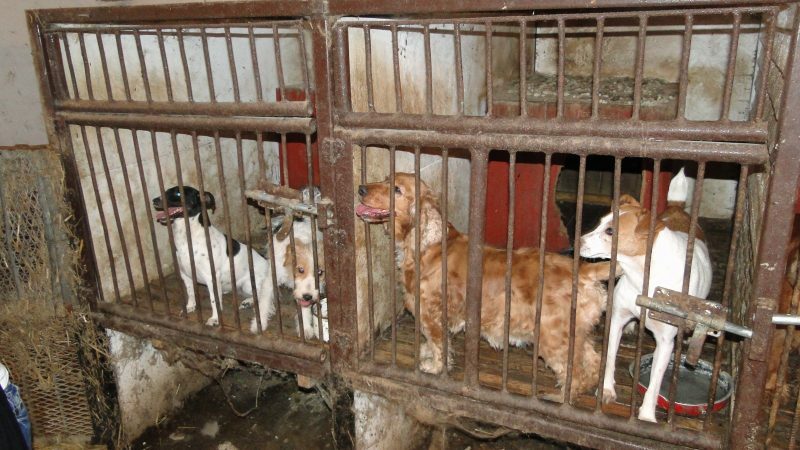 Breeders’ registration alone cannot ensure a safe, controlled trade. Currently, tracing the animal’s origin is hard – if not impossible – unless registered in a database. It is therefore essential that the breeder is registered as the dog’s first owner, ideally under his commercial number. I&R (storage of the animal’s and owner’s information) is frequently wrongly considered a burden but for dogs, it is already in place in most EU countries. It is the only sustainable way to trace disease, and address consumer and tax fraud – all featured in the illegal pet trade. The absence of pan European I&R and of an official interface to access all EU’s databases allows trade to go unnoticed. For example, in countries with no I&R, an unregistered puppy of unknown health status can be easily trafficked and sold in another country. The Pet Passport Scheme will not provide enough of a safety net, nor will TRACES. The Delegated Act will determine whether countries shall create compatible databases for individual dogs and cats. This would pave the way for harmonized I&R and connected databases. For transparency in the origins and to help consumers make informed decisions it is important that the Pet Passport number is registered together with the transponder code therein. The EU is working towards regulating the pet market. The European Council has acknowledged the risks of an unregulated pet trade, so did a Commission-requested study. The Parliament’s Resolution for the Introduction of Compatible Systems for the Registration of Pet Animals across member states asked for detailed I&R rules into the AHL’s Delegated Acts. A Ministerial Joint Declaration led to the establishment of the “Voluntary Initiative Subgroup on improving health and welfare of pets in trade” within the Animal Welfare Platform to focus on measures against illegal trade. The path to eliminating illegal trade is not a straightforward one, but current opportunities are unprecedented. Both registration of all operators and I&R harmonization fall within the mandate of the AHL and the Commission could take a decisive step for transparency and predictability in trade. Effectively implemented registration at the country level, with an EU-wide I&R system, could ultimately lead to the end of the suffering of thousands of animals, whilst protecting public health.